But there is a huge difference between focusing on winning and being focused to win. Focusing on winning during a match is counter-productive. When you focus on the outcome, every point takes on heightened importance. If you lose a point, you start worrying about losing the set. If your opponent is breaking your serve, you may question if you have what it takes to win the match. Each mistake creates more pressure and anxiety. In an attempt not to lose, you start playing cautious and back on your heels. Focusing on winning diverts your focus from what is happening in the moment. 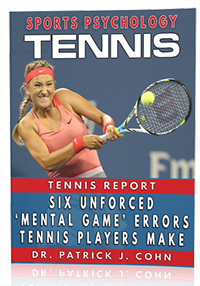 Conversely, “focused to win” is attending to each point as it is played. “Focused to win” doesn’t concern itself with the potential result of the match as much as it does the strategy for each point. “Focused to win” understands that the best way to win the war is to win the little battles. 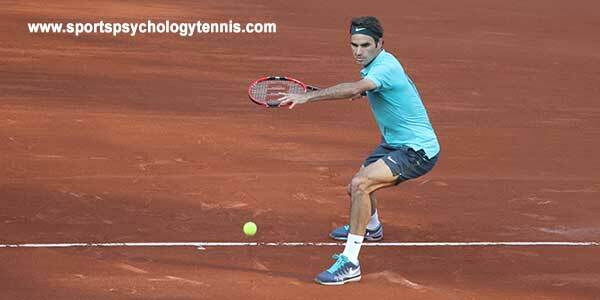 Roger Federer knows the importance of focusing to win or focusing on the process of playing. This type of focus has served Federer well and contributed to a staggering 101 titles. After losing at Indian Wells to Dominic Thiem, 6-3, 3-6, 5-7, Federer entered the 2019 Miami Open with a strong focus on playing solid tennis. Federer proceeded to win his fourth Miami Open defeating John Isner in straight sets 6-1, 6-4. By winning the Miami Open, Federer became tennis’s first repeat champion of 2019. Federer talked about his focus on being in the moment during his post-match interview. Thinking too far ahead has been the downfall for many tennis players. 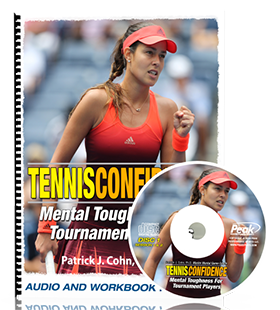 Focusing on winning is one of the biggest distractions a tennis play can face. Of course, you want to win but the only way to win is to be focused on doing the necessary things to win each point. In order to win a tennis match, you need to win more individual point battles. That takes a narrow one-point-at-a-time focus. By staying focused on playing good tennis or focused on the process, you give yourself the best chance of success. First, you should understand you’re always focused on something… some cues help your performance while other thoughts distract you from playing your best. Knowing the difference between the two makes a big difference. The most important questions is: What do you need to think about to win one point? The answer is: your serve or return, tactics for the point, being decisive with targets, and trusting in the strokes you have that day. Is anything else important to winning the match? Focusing on the process brings desired results.